A busy season has come to an end. 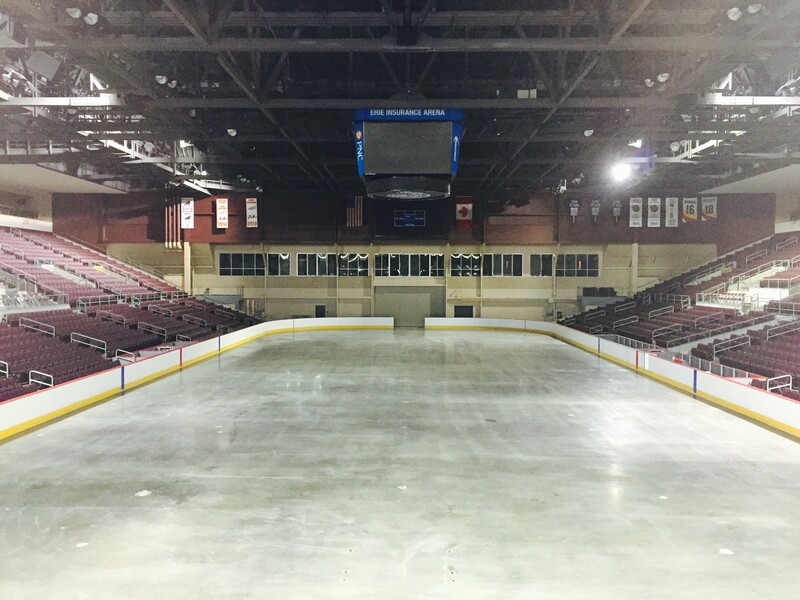 From August 21st, when we started building ice at Erie Insurance Arena, until Friday May 22nd, when we removed the ice sheet, we hosted 106 events in this building. 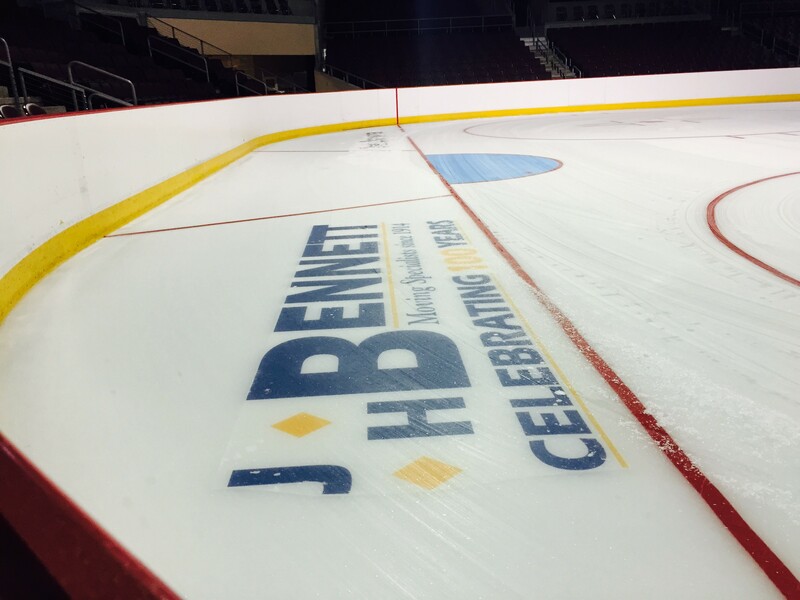 Those events range from sporting events including Otters hockey, Bayhawks basketball and Explosion football to family entertainment like the Ringling Brothers Barnum and Bailey Circus, Disney on Ice, Jason Aldean, Trans-Siberian Orchestra and many others. Even though the crowds will be few and far between now, we have a lot to accomplish. 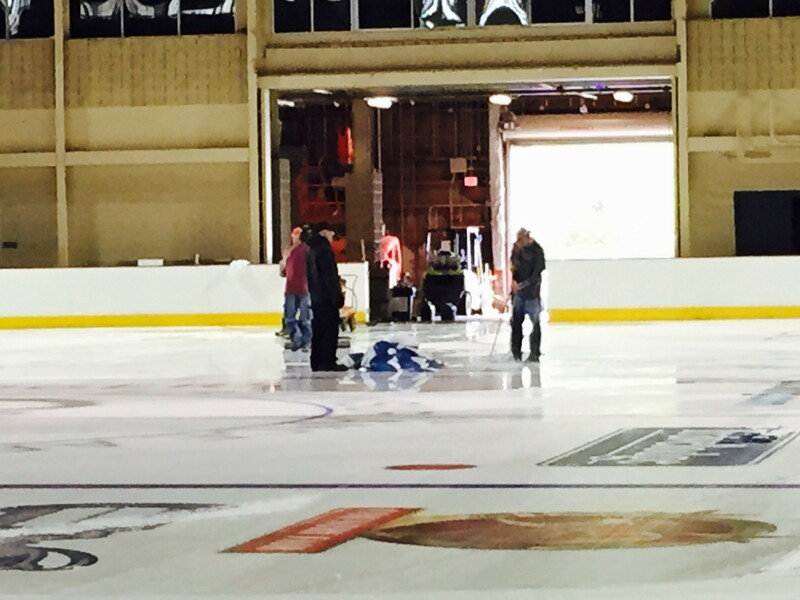 Once we catch our breath from the marathon that is the season, we start repairing and preparing the Arena for another successful season in 2015-2016. Over the course of the season we receive feedback from team staff, ushers, security, players, food and beverage, administration and fans about what needs to be improved and what needs to be repaired. We also conduct an extensive walk around the building and take notes on everything that needs attention. It can be as small as a light out, a dirty HVAC duct or something large like re-painting entire hallways or spending a week sorting and taking inventory of all our storage. While we may not see as many fans as we did during the winter, we will still be as busy getting the building ready for next season.